It is a Friday evening in early September, and the London art scene descends on the opening of Goldsmith’s new Centre for Contemporary Art. Outside, a protest is in full swing, campaigning against the institution-wide treatment of cleaners including those at the gallery. Their point is made simply, elegantly: ‘Who Keeps the Cube White?’. 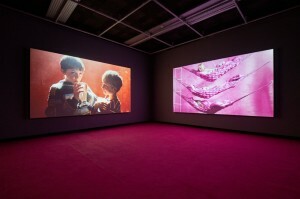 Since the publications of Bryan O’Doherty’s seminal Inside the Gallery Space: The Ideology of the White Cube, the politics that underpin the conventions of display in the gallery is a workaday topic in the art world, but the very real labour relations embroiled in this process is are too often ignored. Artist Mika Rottenberg has the inaugural show at Goldsmith’s gallery. She issues a statement saying that she hopes “the protest will help make visible the hidden labour and fragments of vital energy and exploitation that are embedded in everything we consume and produce.” ’Hidden’ is right. It is easy to forget that positioning the art object just out of my arm’s reach required work: real, hands-on, skilful, hard work. Those entrusted with the task – art handlers, technicians, cleaners – inhabit an world full of diverting, engaging and seductive materials. The function of their labour, however, is to erase their bodies and work from the space; they build, in a sense, the ‘fourth wall’ of the gallery. Even the most intricate art objects are rarely accredited with the person who re-built them, the handler who cared for them, the cleaner who prepared and maintained the area it is kept in; to do so would shatter the illusion. ArtReview’s Power 100 series is bereft of a single gallery technician, and there are no celebrity cleaners (except those who mistakenly vacuum up an installation). And yet, outside the artist, these are the bodies in which a material sensitivity towards art objects is most readily allowed to flourish. They enter into a materially intimate relationship with the art object that far exceeds what is offered to the audience; they can touch and assemble the artwork, and they are responsible for it. Their knowledge of art proceeds through the contours of their form, the precarity of their material, their textures, smell and weight. Rather than reading about the intellectual idea to which the object is being made to submit, I often wish I could ask the handler or cleaner instead: how did it feel? The labour of being a cleaner in the arts involves a bodily intervention with the art object as a material thing. Cleaners, restorers and conservators must all navigate and negotiate all the different ways that art objects exert themselves in the world, and respond sensitively to their different material qualities. This kind of embodied expertise – while celebrated in artists – is rewarded in the art world by low pay, no pay, short term or zero hour contracts and outsourcing of these staff, and curated out of the typical gallery encounter. Similarly, art handlers develop a materially sensitive knowledge of art. Having installed over 200 displays and exhibitions and 15,000 art works, retired Tate art handler Ken Simons is an expert on the materiality of the art world. “It’s something I think curators maybe miss”, Simons reflects in an interview with Tate; “that opportunity to physically interact with a sculpture”. When installing Helen Chadwick’s Carcass (1986) at Tate Liverpool in 2014 – a 2 metre tall tower of compacted, rotting vegetable matter – Simons recalls having to negotiate the material properties of glass and Perspex in order to make the container gallery-ready. This required Carcass to be confronted first and foremost as an object with a propensity to leak and spill; a material, rather than an intellectual or conceptual thing. What’s more, the process of filling it up with organic waste would have been an outpouring of sensory experience, as the fetid vegetables piled up. Simons’ labour therefore afforded him a material and sensory knowledge of the work that exceeds what is accessible in the anesthetised gallery space. When I looked at the finished sculpture, I felt the loss of the innumerable other ways my body could’ve known it. What’s more, the labour of the art handler also shares something with that of the artist. There is something to be gained, Simons suggests, from re-experiencing the material of the art object as the artist did: with the fullness of the body. It is another strange convention of the gallery space that the encounter of the audience has little to do with the experience of the artist. Typically, the cerebral labour of the curator is positioned as the intermediary between the studio and the gallery. However, were we to think of the art object as a material rather than intellectual thing, the balance of power would tilt towards the body of the handler. 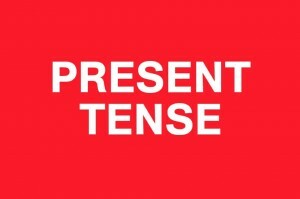 The particular, tacit way of knowing practised by artists, cleaners and art handlers alike concerned philosopher Michael Polanyi, who argued in 1967 that “we know more than we can tell”. I know things with my body that are difficult to put into words; how to touch-type, for example, or to perform parkour, or to tie a shoe lace. In his work on material and skill, contemporary anthropologist Tim Ingold speaks of “knowing from the inside”. This recognises the body as an instrument of knowledge in itself, exercised and enriched as it corresponds with the various and diverse qualities of the material world. The body as an instrument of knowledge is excluded in the gallery by ‘do not touch’ signs, and the particular way of knowing of hands-on art workers subsequently devalued. Instead, I find myself in a gallery subject to the guiding hands of curation and convention, which weigh heavily on my body. I feel myself frustrated, unable to know the art object as a material thing full of sensory potential. The gallery requires me to practice only a limited palette of my senses, to defer to mind over matter and leave behind the multi-sensory life I lead outside its white walls. But my body refuses to be checked in at the gallery door. It insists on coming in too, an unwelcome guest in this unreal world of disembodied knowledge. Attempts to accommodate the embodied way of knowing have been trialled in the gallery before. Cooper Hewitt’s very recent show in New York, The Senses: Design Beyond Vision invited visitors to touch, smell and hear the exhibited works of contemporary design and to indulge ‘all five of our senses’. Similarly, Tate Britain’s 2015 exhibition Sensorium reinterpreted works of visual art through other sensory experiences, such as a Francis Bacon inspired taste-scape of edible charcoal, sea salt, cacao nibs and smoky lapsang souchong tea. That same year, Museum Tinguely’s olfactory- (sniff) based exhibition Belle Haleine – The Scent of Art asked: how does art smell? 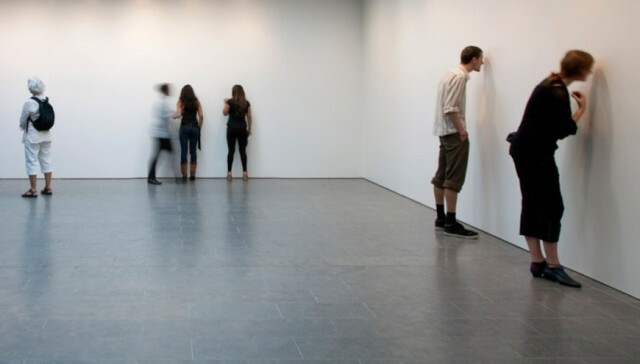 Other sensory interventions respond to the diverse needs of an art audience for whom a white cube model does not accommodate. 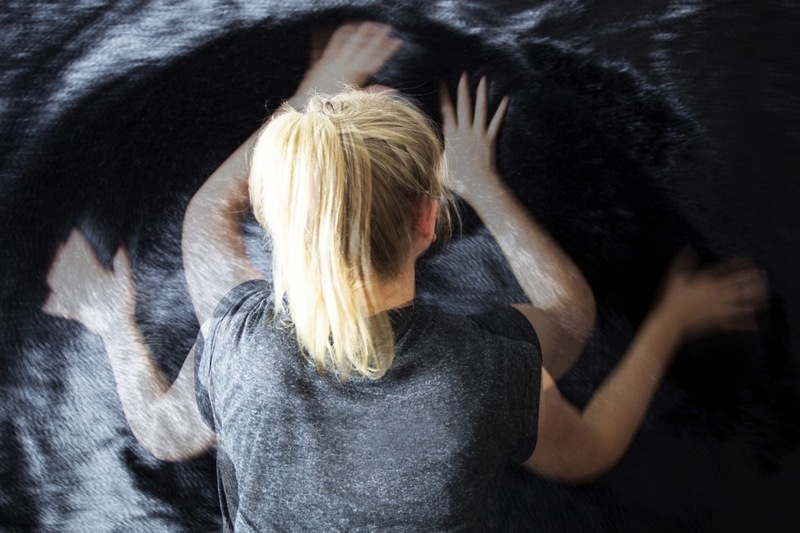 ‘Touch tours’ and ‘sensory maps’ are becoming standard practice, used by industry leaders like MoMA, and invite visitors with different bodily capacities to understand the gallery on their own terms. Also, motivated by the politics of appropriation, the discipline of sensory museology is asking ethnographic museums to rethink how they expect visitors to access the objects in their displays. The extra sensory experiences created are often abstracted, metaphorical versions of the material encounters the art object could afford. Not only does this require me to adapt an alien way of making sense of my embodied experience, it also fails to make a virtue of the wealth of sensory, full-bodied, materially informed expertise within galleries’ staff: in the bodies of handlers, technicians and cleaners. In a rare exception (which proves the rule), earlier this year Tate Liverpool invited Simons to curate a show in their Wolfson Gallery to mark his retirement from a 30 year career and the 30thanniversary of the institution. Ken’s Show: Exploring the Unseen was accompanied by texts in which Simons described many of the objects in terms of how they felt to install. 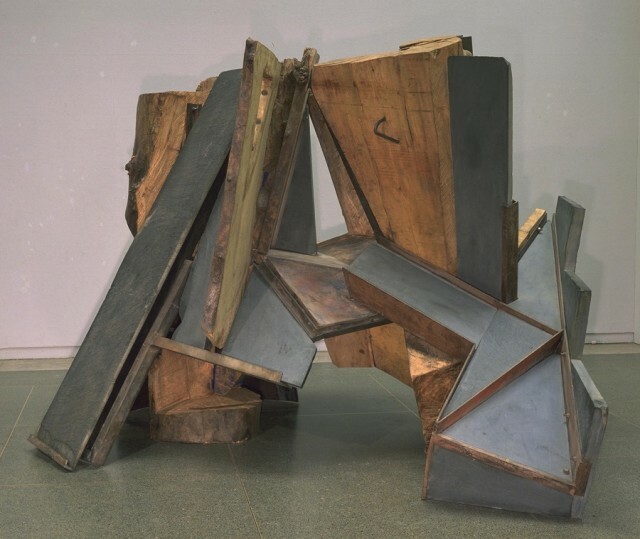 Phillip King’s Within (1978–9), for example – a haphazard pile of wooden shards – provoked Simons’ reflections on weight, time and space, afforded by the particular ways that the component parts interrelate. Alison Wilding’s Airing Light (1985-6), Simons suggests, demonstrates the artists’ exploration of contrasting textures as the smooth sides of the steel and brass sculpture enclose a textured ball. These descriptions, however, seem pale illustrations of what it must actually be to feel the way that Within is balanced, or to feel contrasting textures of a Wilding against my skin. Ken’s Show threw into relief how the typical gallery space denies its audience the opportunity to properly know art objects from the inside, as Ken did, with the body. Instead, I defer to a disembodied knowledge regime that benefits the intellectualised labour of the curator and critic. This is not to suggest that curators and their associates never get hands-on with art objects, nor to deny that the small staff of many galleries requires many non-technical staff to get stuck in with installation. However, as a general rule, tacit and embodied expertise of art objects is under-appreciated by the value-system that structures labour relations in the institutional arts. Labour in the art world of work, in other words, is predicated on an uneven politics of different ways of knowing. The disenfranchisement of bodies from the gallery has the benefit of lending the art object a degree of permanence that would be degraded by constant tactile exploration. It also, however, populates the art world with the stable objects on which the canon and the market rely. To open them up to embodied ways of knowing would be to risk their longevity and also, perhaps, something of their fetishisation. The exclusivity of the art object as commodity is heightened by it being placed outside the general swarm of sensory data that we live amongst. Disembodied knowledge goes hand-in-hand with the exclusivity of the art object; the embodied knowledge of art handlers cannot be commodified if it cannot be spoken. The capital and knowledge economy of the art world is sustained at the expense of embodied knowledge. To move beyond this, a reorganised art institution would have to give up on the pretence that the gallery and the objects within it appeared perfectly-formed in a puff of labour-less smoke, and that bodies can be broken down into five senses. Instead, it would acknowledge the hands-on labour required by the gallery space, reward ‘knowing from the inside’ as it does cerebral labour, and invite the audience into the many material dimensions of the art object. Exhibitions such as Ken’s Show would be the rule, rather than the exception. Admittedly, the fragile and delicate nature of many art objects justify a look-but-don’t-touch approach. Under capitalism, financial risk will always outweigh sensory experiments. 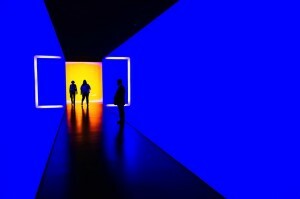 Exhibitions such as The Senses: Design Beyond Vision and Belle Haleine – The Scent of Art are perhaps the most we can hope for in terms of a sensorially complex art world, even if they don’t push far enough against the conventional five senses. However, just as the collective efforts of critical art theorists have exposed the patriarchal and ableist nature of the white cube, so too might we begin to understand it as in the service of a particular way of knowing that maintains the institutional status quo and controls our bodies. As audience members we could ask to know who installed this sculpture or that installation, and consider what they learnt through the material encounter. We can become sensitive to what we lose when we are asked to negotiate our bodies as if the senses are discreet, and to the way that this contracts the horizons of our knowledge. We can wonder who benefits from art objects being positioned just out of arms reach and from knowledge being presented as rational and disembodied. As it is, we have a diminished art world in which we cannot indulge the faculties of knowing that exist within our bodies. The frontiers of our art experiences are prescribed by the hierarchy of ways of knowing in an art world skewed towards the cerebral over the corporeal. What a playful, materially rich and fairer art world we would have if the fullness of the body was given free rein in the gallery space. To acknowledge the body as an instrument of knowledge would also be to grant cleaners, art handlers and technicians the value they deserve. That our art institutions undervalue their work – at the same time being entirely reliant on it – requires us to remember to ask: who keeps the cube white?